Why Does a Property Have a Quitclaim Deed? A quitclaim deed transfers a person's interests in real estate to a third party. Quitclaim deeds are one of several types of property deeds. They don't offer the same level of protection for their recipients as some other deeds and are generally not used in standard home purchases. A party, or grantor, who transfers real estate by a quitclaim deed does not give any assurances that the property is free of liens, encumbrances, or third-party claims. 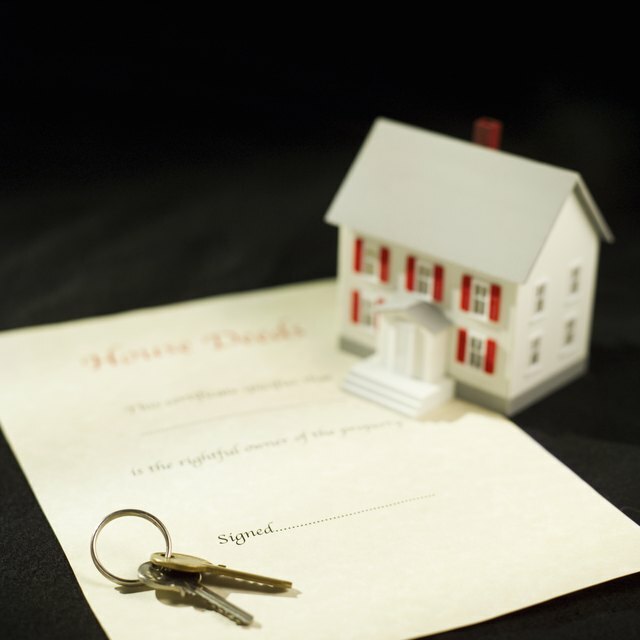 Quitclaim deeds simply convey whatever interests, if any, the grantor has in the real estate. Quitclaim deeds are generally irrevocable. Therefore, parties should sign quitclaim deeds only if they are certain they wish to permanently divest their property interests. Quitclaim deeds are used to transfer real estate between parting spouses in divorce proceedings. A judge may order a party to sign and record a quitclaim deed in a divorce, or the parties may agree to it as part of a voluntary settlement. Any property conveyances made are outlined in final judgments of divorce that are signed by judges to close out legal proceedings. The party responsible for recording the quitclaim deed generally pays for applicable filing fees. People sometimes hold real estate in joint tenancies to bypass probate court for their heirs. Quitclaim deeds are commonly used to add joint tenants such as children or grandchildren to a title. Quitclaim deeds must state the recipients, or grantees, take as joint tenants with rights of survivorship to bypass probate court. Parties should carefully consider the pros and cons of quitclaiming property because they give up important property rights in the process. Warranty deeds, not quitclaim deeds, are generally used to convey property when you purchase real estate. Buyers normally demand a good and marketable title to a property, which is not guaranteed by quitclaim deeds. Also, lenders generally require title insurance prior to giving real estate mortgages. Quitclaim deeds are not usually acceptable in property purchases because title companies typically do not issue title insurance if sellers fail to warrant good title. The Wall Street Journal: Title Insurance Protects Lenders, so Why Shouldn't They Pay for It?